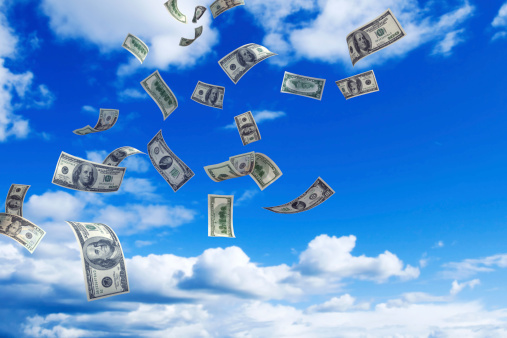 Weather has been ‘untapped’ as an ad targeting method, but we now see it gaining popularity among advertisers in 2014 as better weather forecasting and data become available. 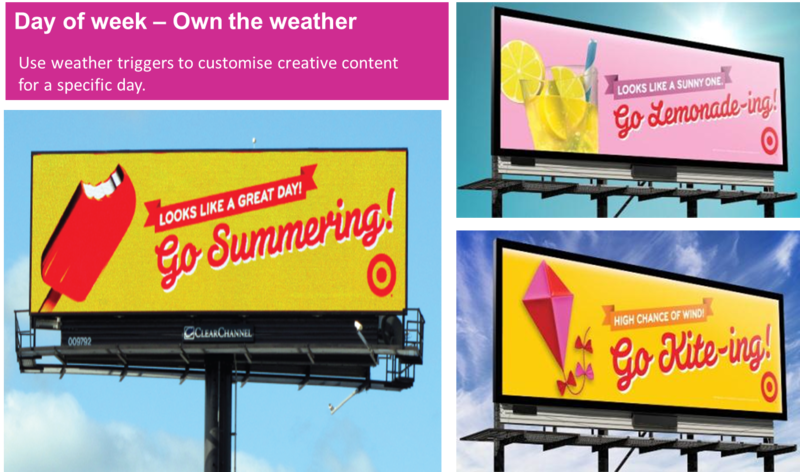 Weather is such a rich territory for Outdoor to ‘own’, as advertisers are able to engage consumers in their environment by personalising and catering the buying experience to consumer needs and wants. Fundamentally, weather can be such an easy win for advertisers because it is one of those things where they can ‘show’ the immediate relevance of the product or message advertised. It helps transform a product or message from being an advertisement to being advice. 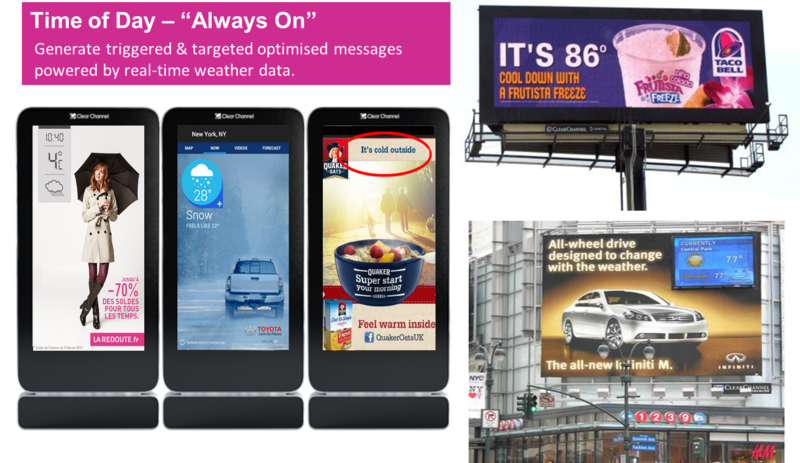 Weather is the epitome of big data for advertisers. One-third of the world’s GDP is affected by weather. Weather is a good predictor of intent and when harnessed, it can signal to advertisers what messaging will resonate and when. Weather is central to any successful targeted advertising. Weather is a hot talking point; having the most universal audience draw. Every second, at least 282 consumers are talking about what is going on in the sky. 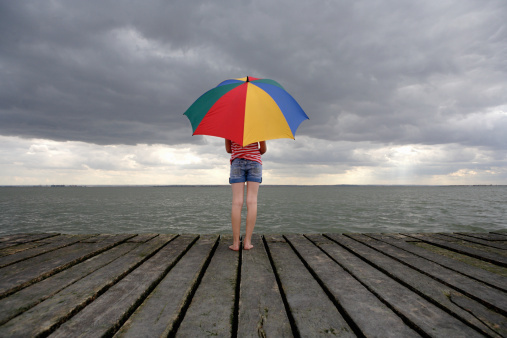 In the UK, 60% of consumers use talking about the weather as a social prop. In Spain, 1 in 4 consumers say the weather helps keep conversations safe and impersonal whereas in Canada, 1 in 5 consumers say weather talk is an easy way of appearing friendly. A sought-after piece of information, weather is the king of content. Weather is the #1 type of data downloaded on mobile phones, with 2 in 3 internet users checking weather online daily. Weather content also determines why consumers choose their media channels – it being the #3 reason listeners choose a particular radio station and #5 reason viewers choose a specific TV News station. Weather’s impact on consumer demand. The weather is one of the most primal factors in consumer decision making…fundamentally, it drives human behaviour. Up until recently, weather’s influence on business has been viewed in limited scope with insurance agencies and agricultural business utilizing large data sets, mostly to hedge against drastic fluctuations that could affect insurance pay-outs or poor crop yields. 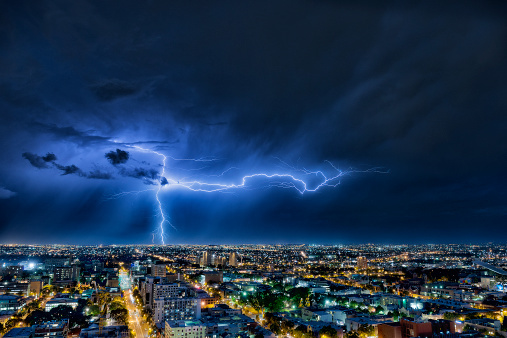 Weather’s influence on the human environment is something that has been studied for over two millennia with radical improvement in predictability models taking the forefront throughout the last century. Today, new modelling techniques to gather big weather data makes it digestible and easily actionable for marketers across industries to make sound marketing decisions. Weather has direct impact on behaviour and consumption as weather is extremely localised and how consumers feel in accordance with the weather has a direct impact on what they will purchase. 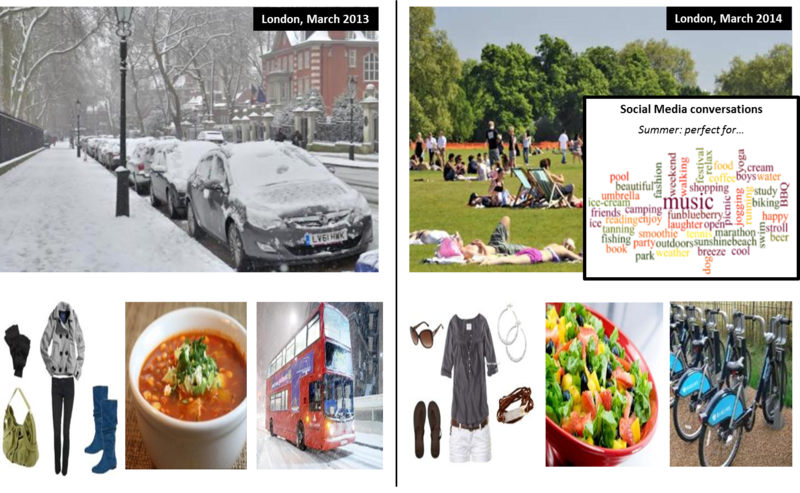 Weather influences what consumers will wear, where they will go, and what they will do, both conscious and subconsciously. For example, rain coats and snow tires intuitively see spikes in purchase behaviour near the beginning of the winter season, respectively, and board shorts and sun dresses see spikes near summer and springtime. Weather has an effect on people’s moods. 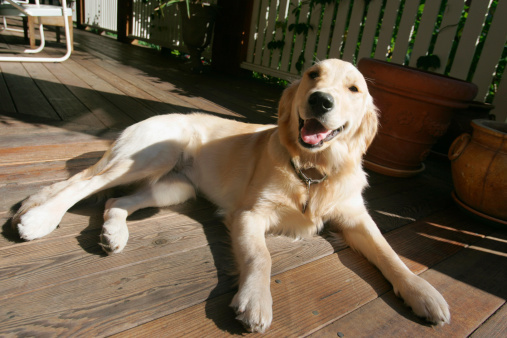 For instance, nearly half (47%) people become more active during Spring/Summer months, when the weather gets warmer. Even more so amongst younger adults, as they see it as an opportunity to socialise. The love of being outdoors in the summer makes it a highly engaged environment and outdoor advertising is contextually relevant to take advantage of where consumers are. Weather fluctuations make a huge difference in consumer purchase behaviour, especially if th ose weather fluctuations are extreme. Take last weekend in the UK as an example. It was an unseasonably hot weekend compared to the same weekend last year, which meant that people behaved in a different way, so this provided an opportunity for companies selling such as alcohol to wrap their brand message around a weather trigger, that was activated when the temperature hit 16 degrees or above. 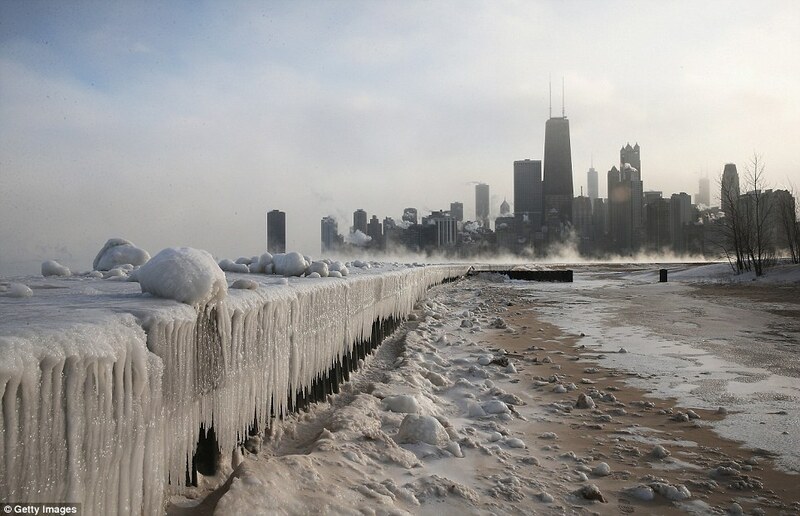 The weather in 2010 made front-page news across much of the planet. Washington’s storms caused power outages, NYC endured insufferable heat, and the UK was brought to its knees by snow. The winter season in 2014 which ravaged the US, the Polar Vortex caused an explosion of cold-weather sales across the eCommerce industry with sales of cold-weather gear driving web traffic to the top retailers. 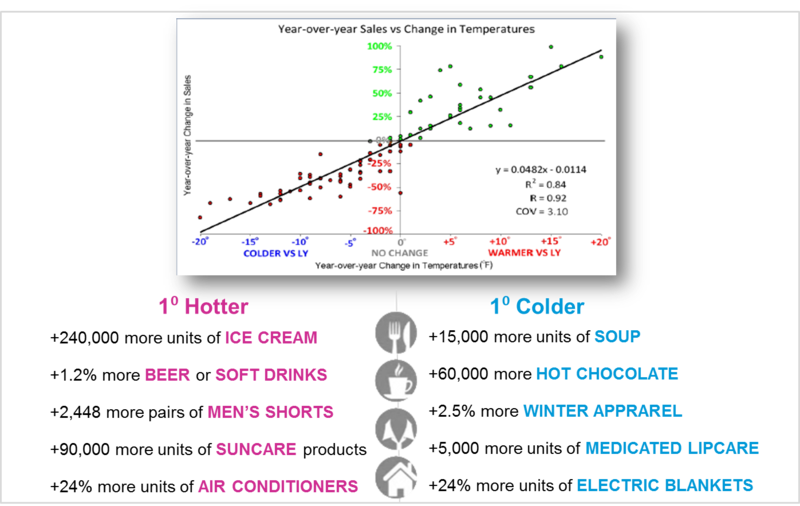 Weather conditions and temperature ranges also have an effect on consumer purchase psychology. In the most intuitive manner, in extremely colder weather conditions, people are more reluctant to leave their homes for their shopping which can impact sales, though in contrast can drive stronger online purchase behaviours. Other examples include intuitive spikes in umbrella purchasing when it’s raining or spikes in suntan lotion when it’s sunny. Weather causes people to change their plans, making them more likely to seek out or avoid certain activities, products, and services. Thus, weather impacts sales performances across a wide category range. A small change in temperature can trigger large changes in sales, even more so with products that have higher sensitivity to weather variability. For example, for every +1 degree increase change yoy, beer consumption increases by +1.2%. Other examples include online sales of sunglasses increases on a clear day with lowest cloud cover or demand for ice-cream rises 31% above average on the warmest and sunniest days. So, how can advertisers use the power of weather to build powerful outdoor campaigns? 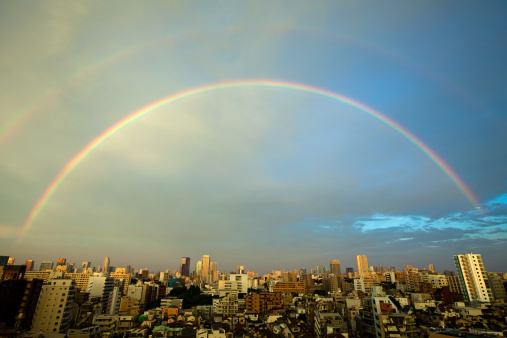 With weather forecasts, advertising can be there in the right place, at the right time. Delivered through dynamic messaging triggered by time of day, specific day of week, and even unique per site. 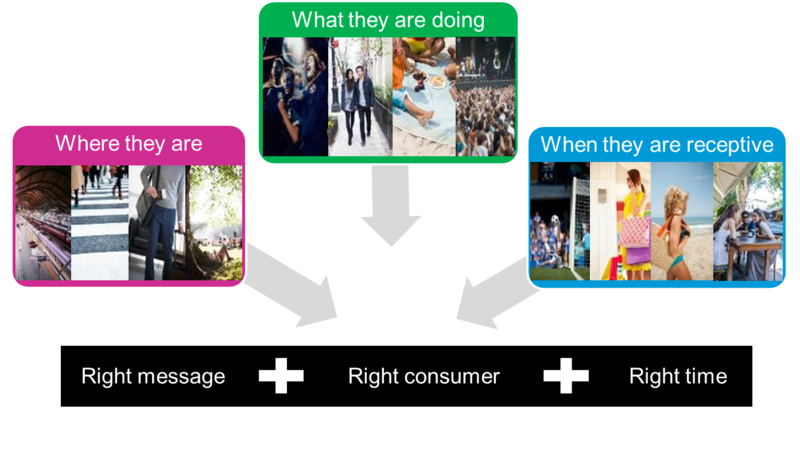 Plug into consumers’ social lives by being present in recreational activities that people strongly link with during the Summer / Winter months- whether consumers are heading to the pub to watch the games, gathering at live screens, the carnival-like atmosphere will put people in positive mind-sets and are more receptive to messages. Unique position to get advertisers at the heart of the action, sharing the same physical presence near where so many consumers are out and about – especially targeting specific mobile audiences, whether they are ‘getting here’, ‘getting around’ or even ‘getting away’. There is also no better time than to get messages onto the streets, especially near the points of purchase where it can act as a directional medium effectively pointing out location of businesses to trigger impulse purchases – particularly such as fast food, snacks and drinks. 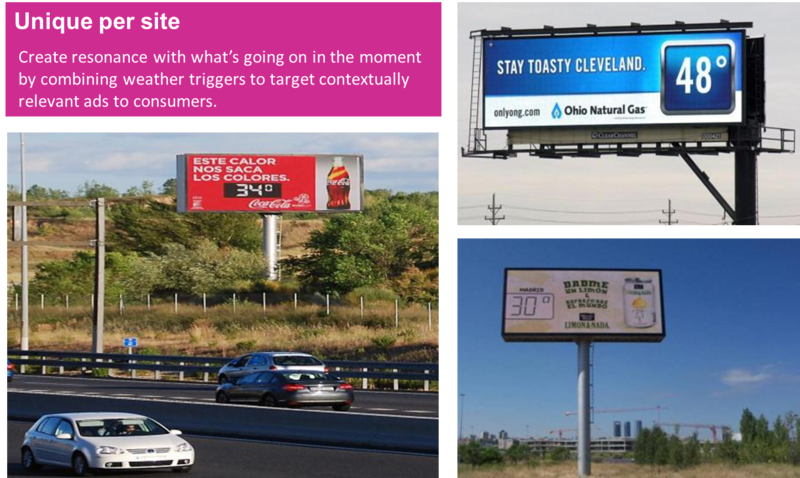 In conclusion, when used in combination with weather data, outdoor advertising can deliver up to date messages for advertisers to stay relevant, and to engage their consumers. This is through the understanding of how weather affects marketing, that advertisers can take advantage of outdoor advertising to be smarter with their campaigns – basing them on reactive weather triggers, rather than expected seasonal changes. Previous Previous post: ACR, is the new magic!